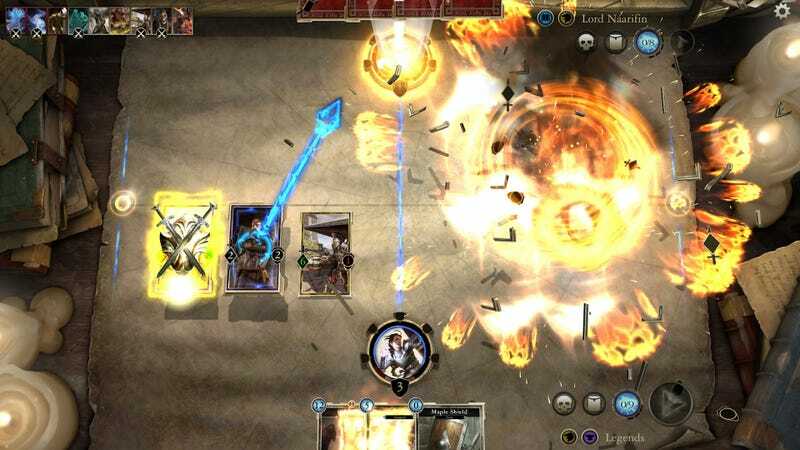 The Elder Scrolls: Legends, a card game that has been in beta for nearly 17 years, comes out for real on PC today. Publisher Bethesda says it’ll be out for iPad on March 23, Android tablets in April, Mac in May, and mobile phones this summer. Bethesda’s also adding a bunch of expansions and campaigns to the game, including “The Fall of the Dark Brotherhood” next month that will, presumably, tell the story of the fall of the Dark Brotherhood. Fahey enjoyed The Elder Scrolls: Legends when he checked it out last year, mostly for the single-player story content. And also because it’s got multiple lanes. And also because it’s way browner than Hearthstone.